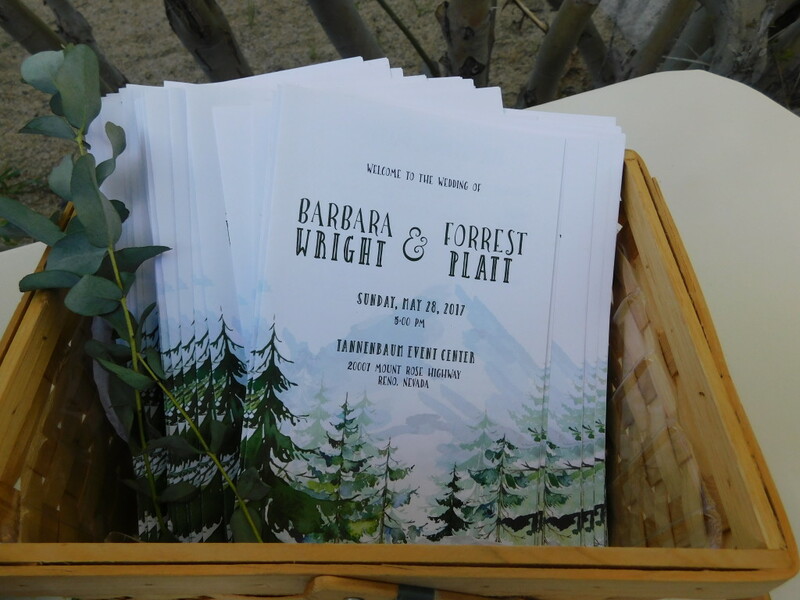 Our second wedding of 2017 was a beautiful nature themed wedding and what a gorgeous Spring wedding this was. 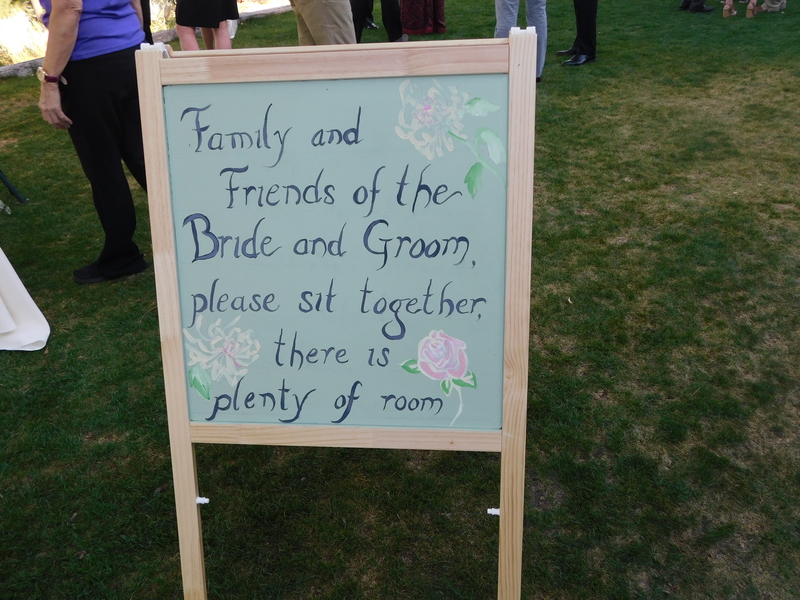 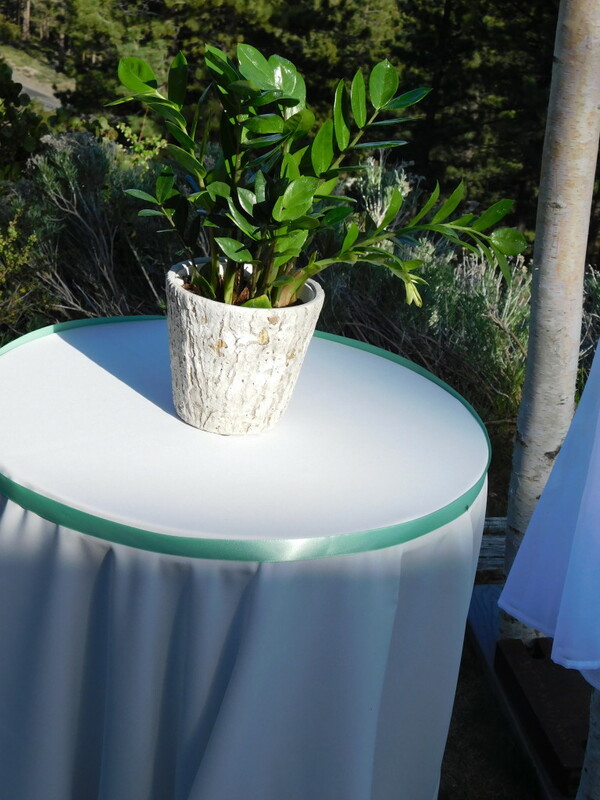 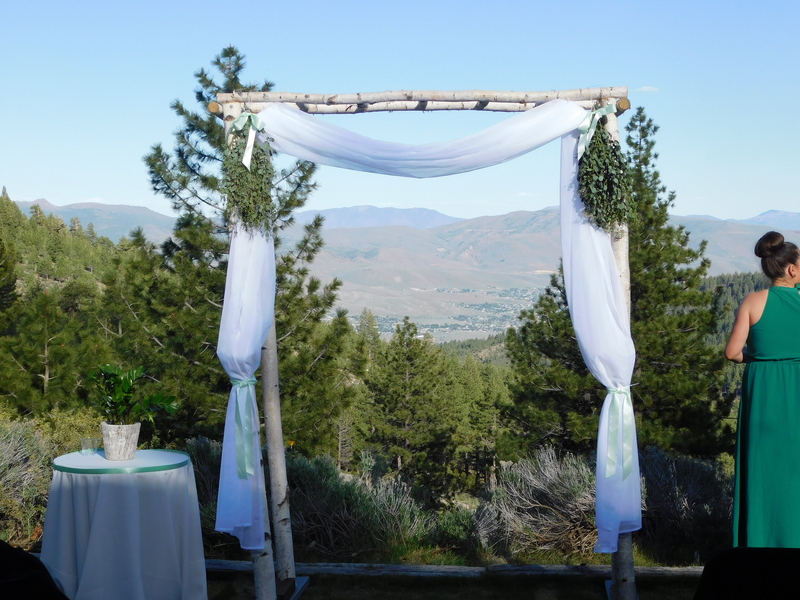 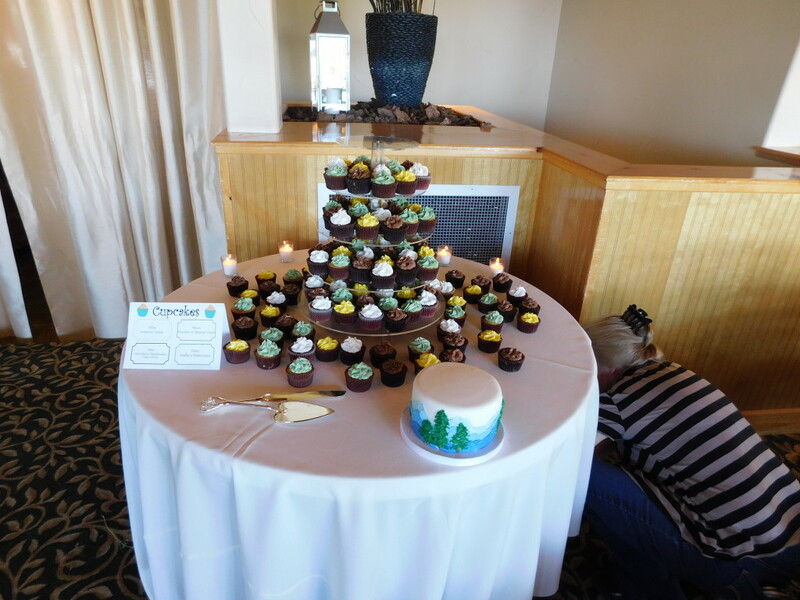 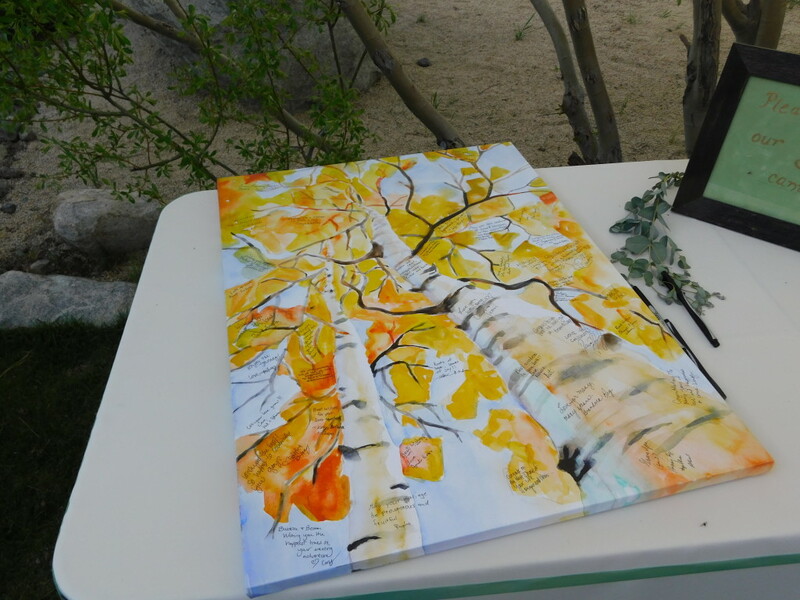 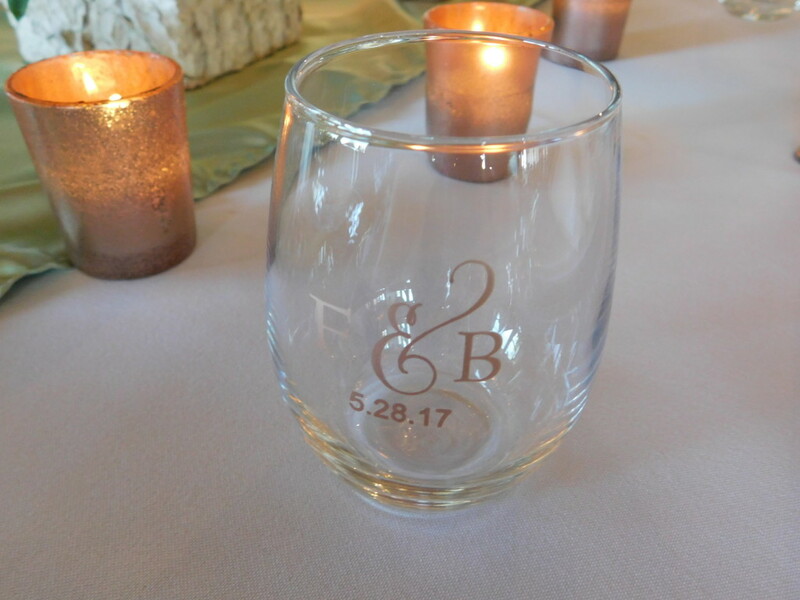 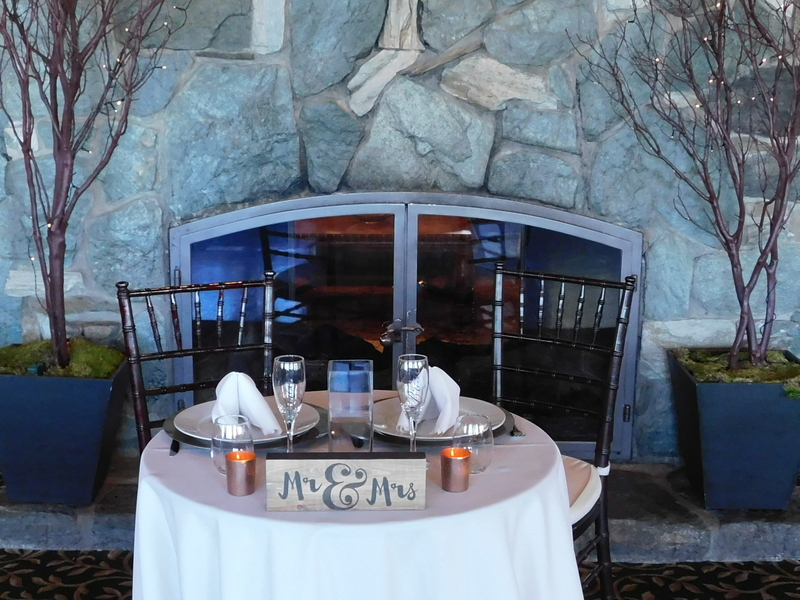 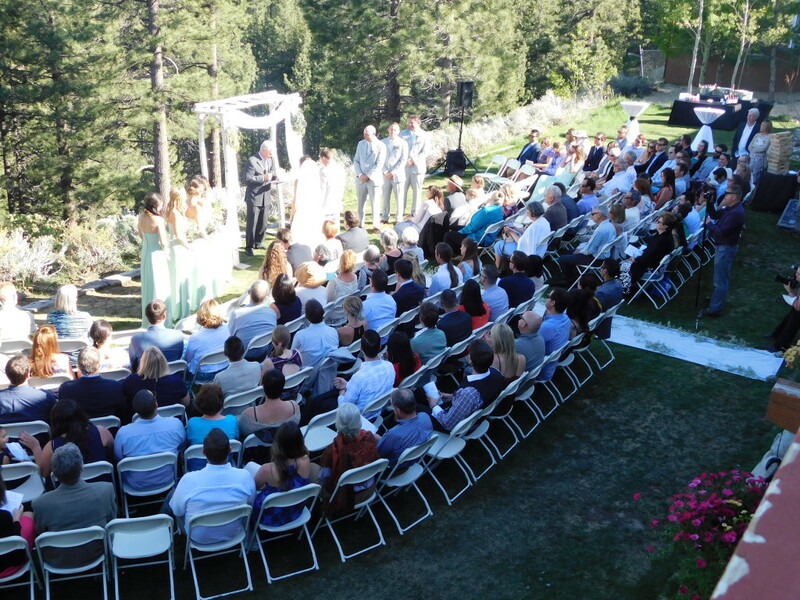 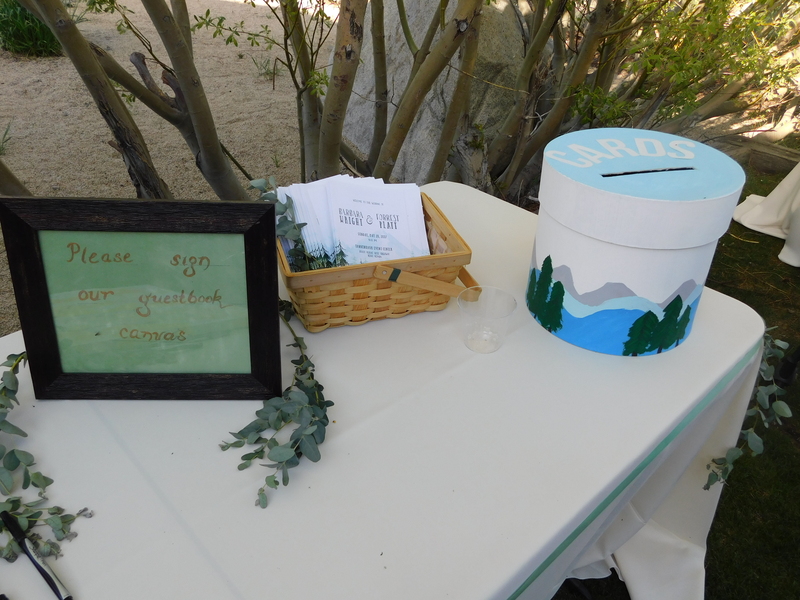 The snow had melted to make for a very lush green grass ceremony that overlooked the Washoe Valley mountains at the Tannenbaum Events Center Eucalyptus, baby’s breath and soft pink roses sprinkled throughout the aisle. 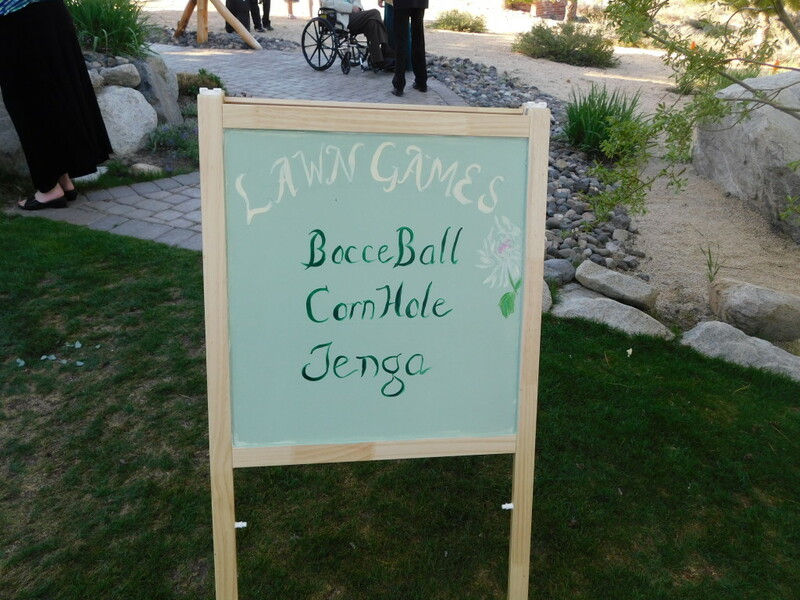 Fun games such as bocce ball and giant jenga entertained the guests during cocktail hour. 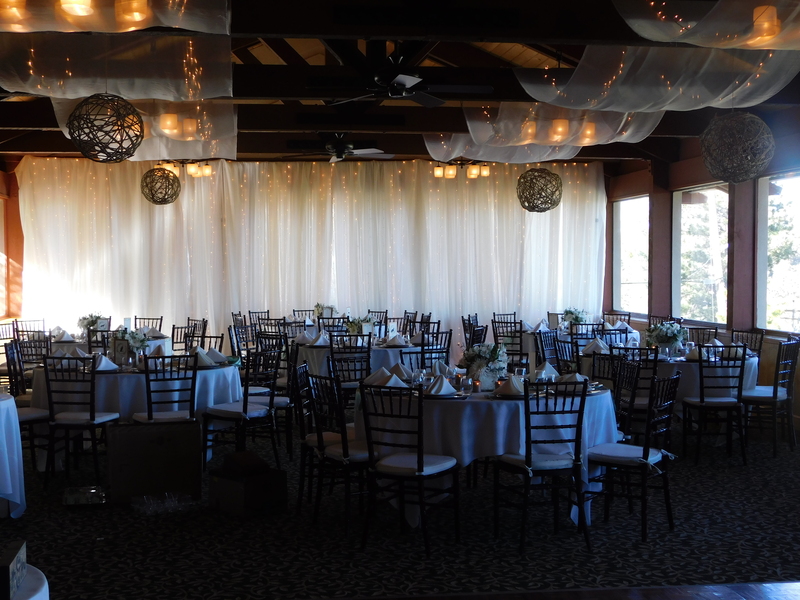 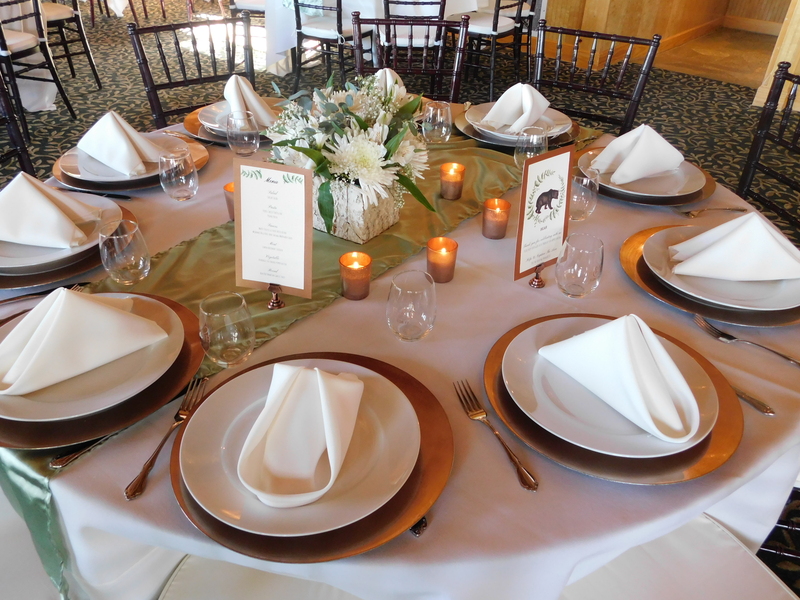 The indoor reception space was adorned with the colors of soft sage , cream and pops of copper. 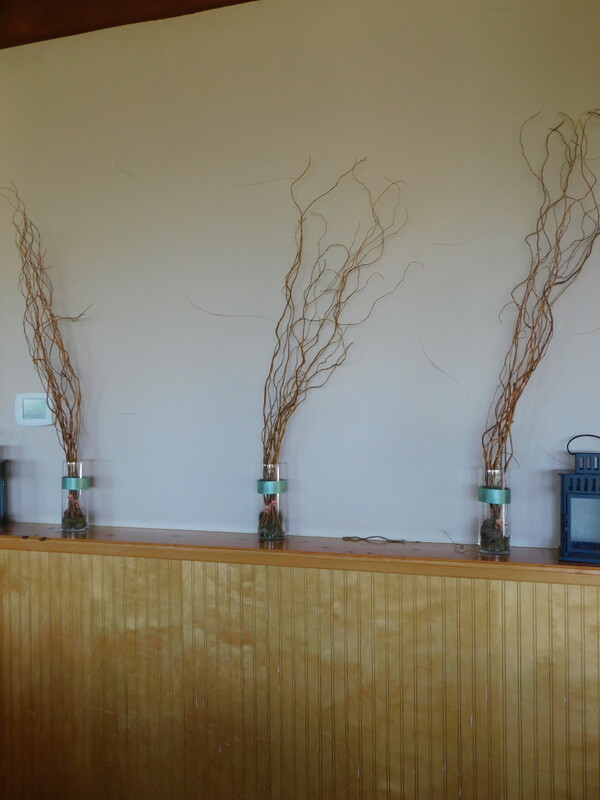 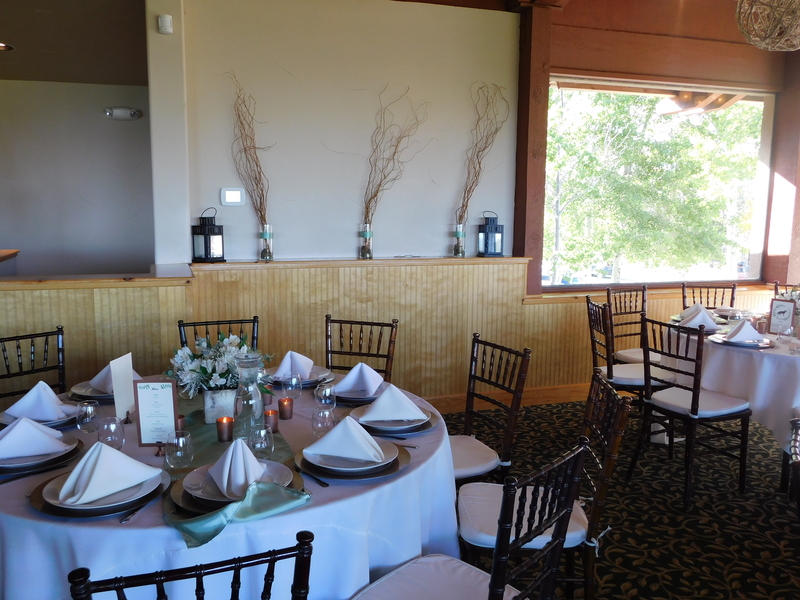 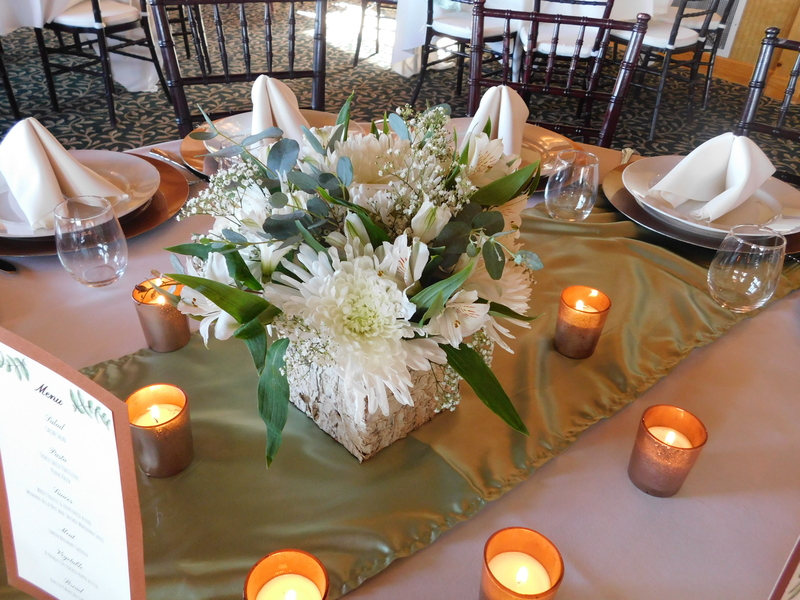 The centerpieces were spider mums and eucalyptus leaves in a birch box. 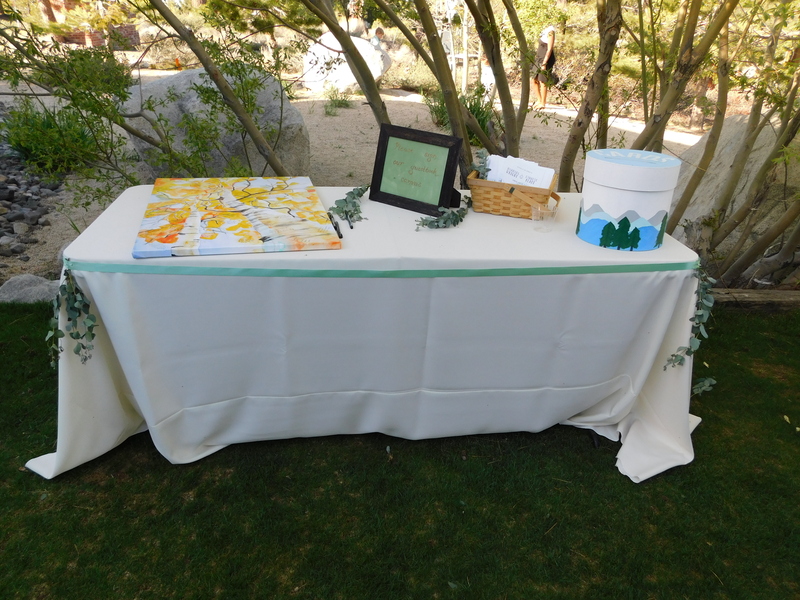 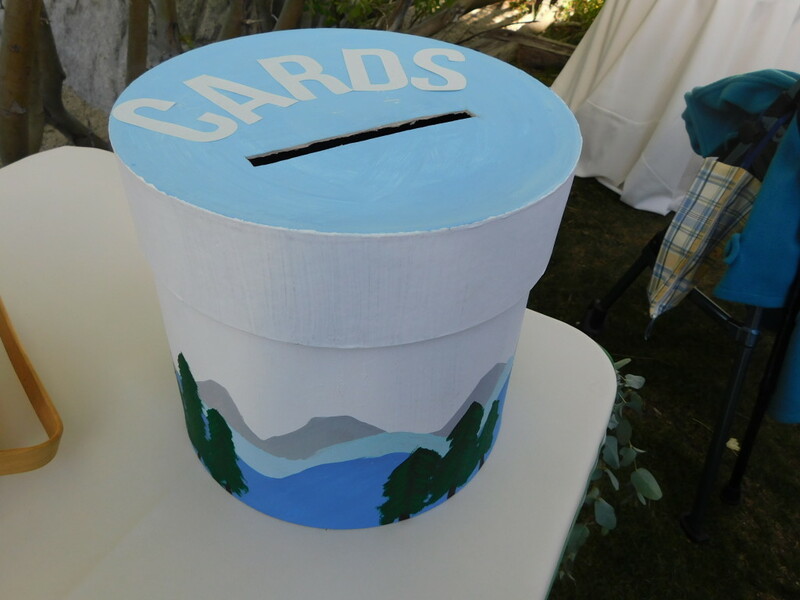 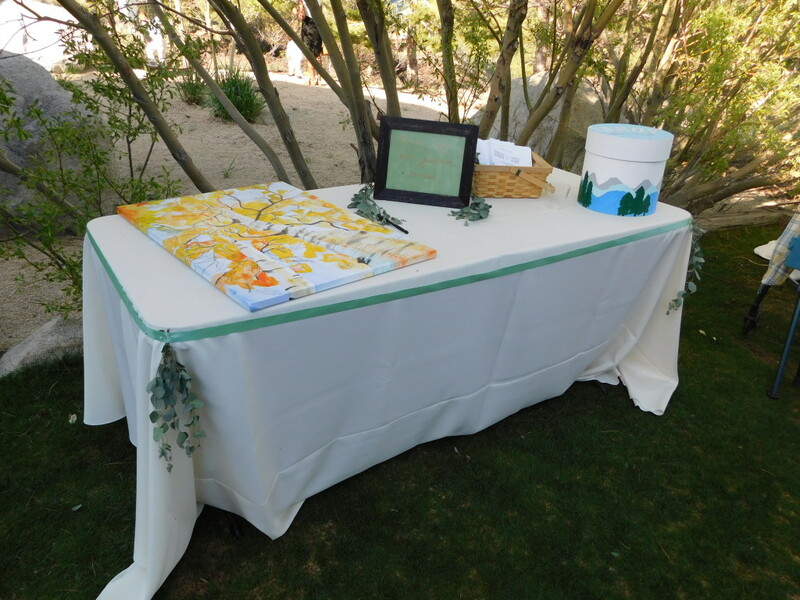 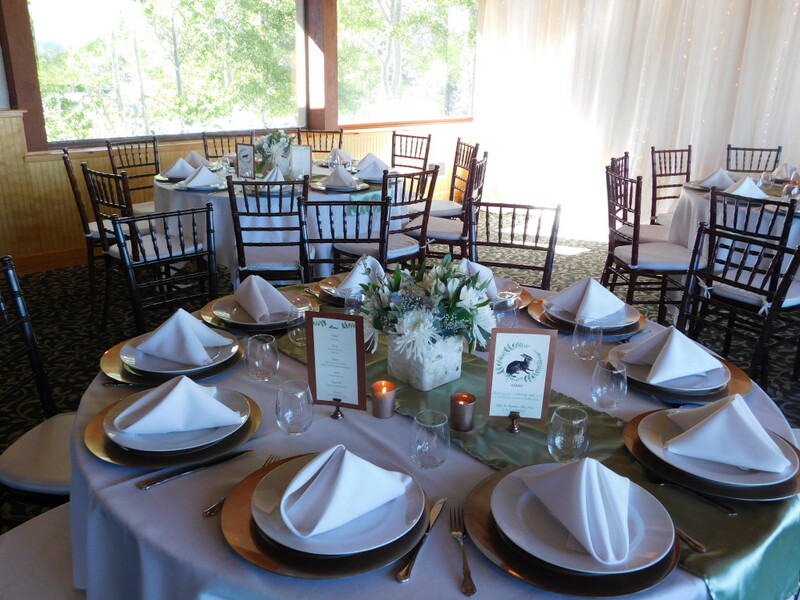 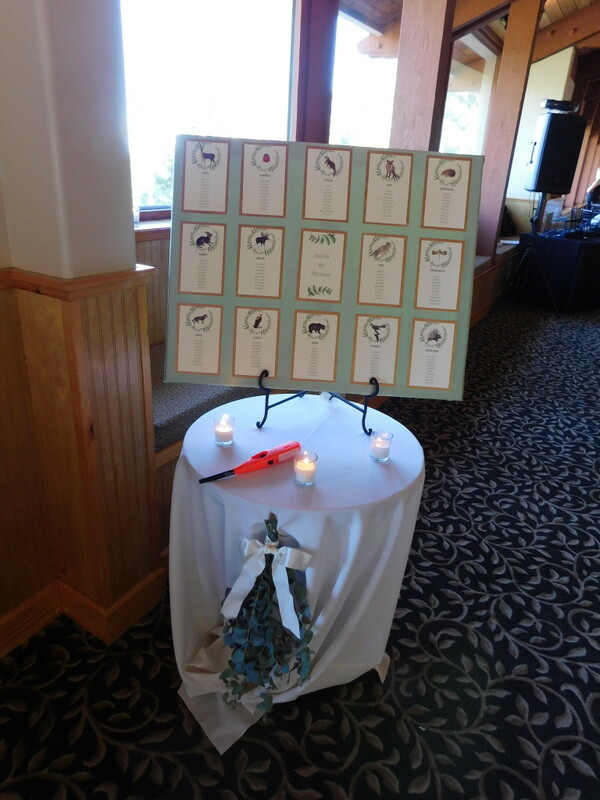 Animal cards also decorated the tables to distinguish he table names pulling their nature theme together. 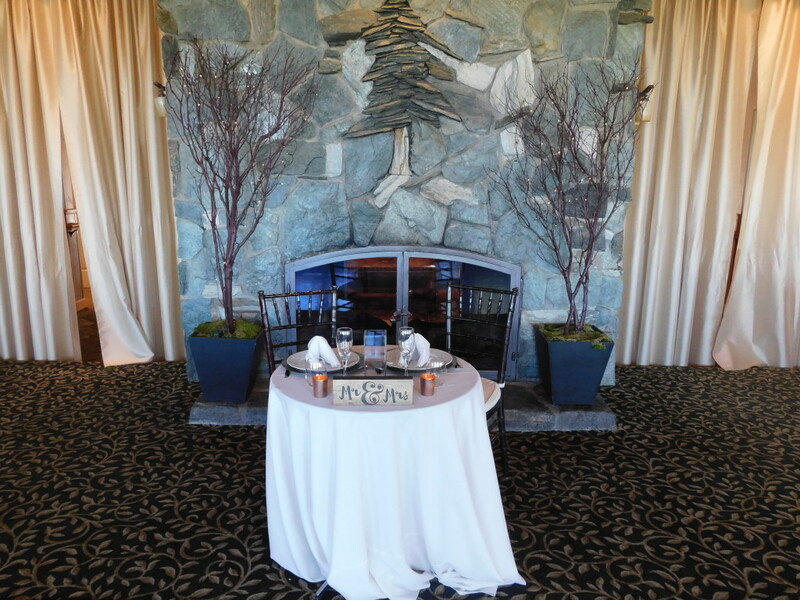 Candles gave an inviting yet intimate feel. 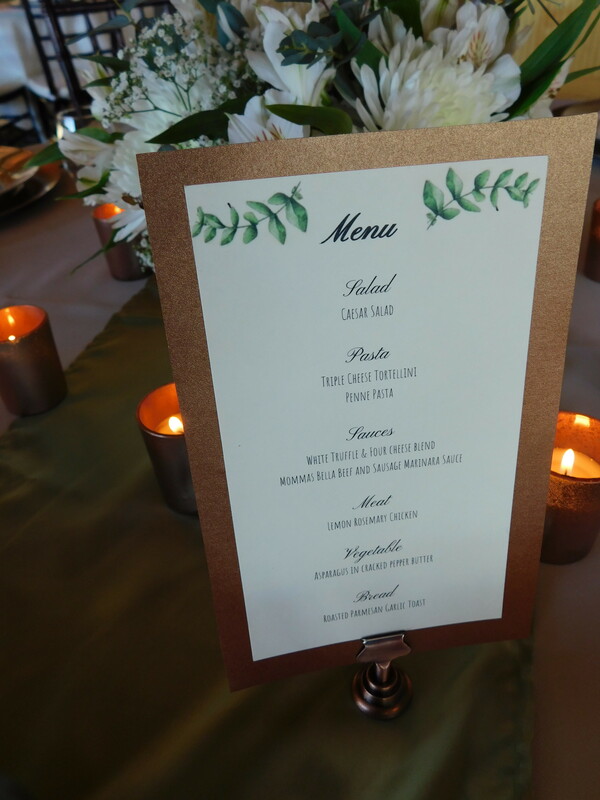 Cherry Bomb Catering provided an italian spread that made you feel like you were dining among family.Niki Ross Photography beautifully captured all the special moments, while Golla Film company stitched all their moments together to make an unforgettable wedding video. 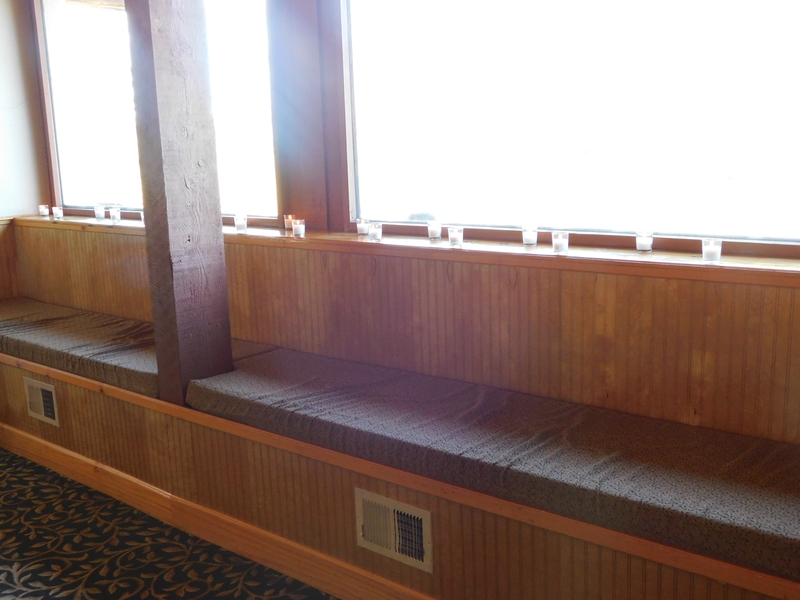 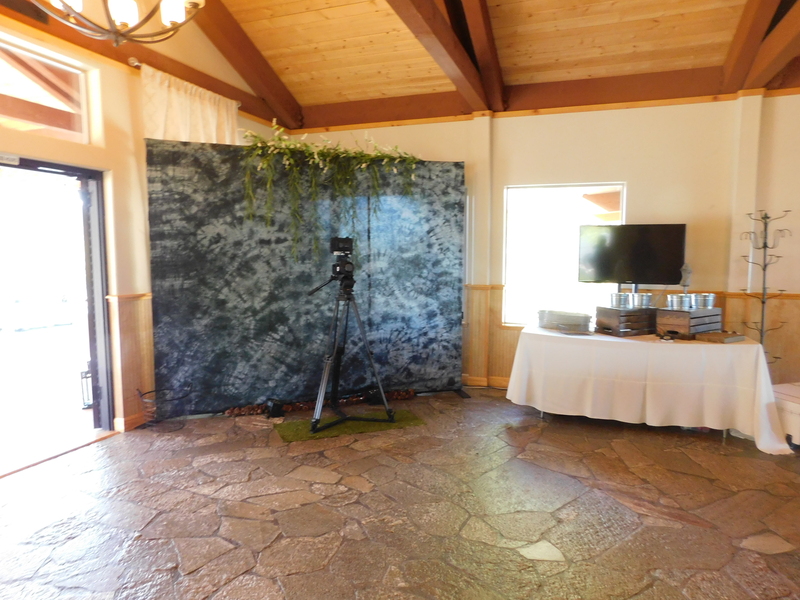 A special treat for the guests was the Slow motion video booth provided by Tahoe Slow Motion Booth . 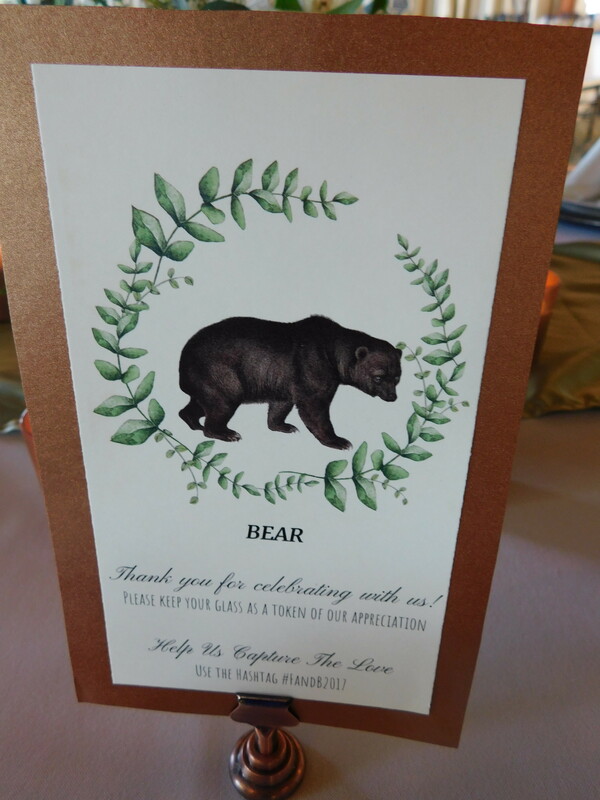 DJ Kyle Young , a friend of the couples made for an upbeat and lively party the whole night. 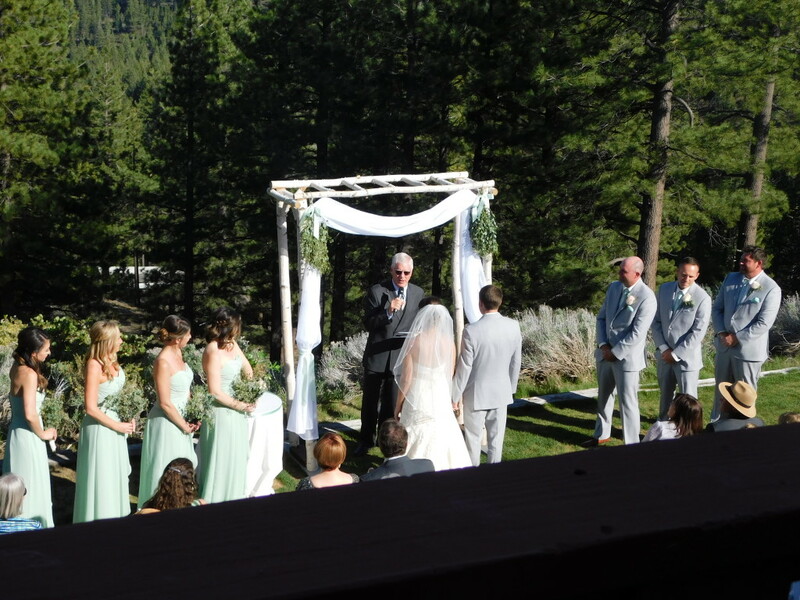 It was a true pleasure watching this sweet, relaxed couple say their vows and enjoy their party afterwards. 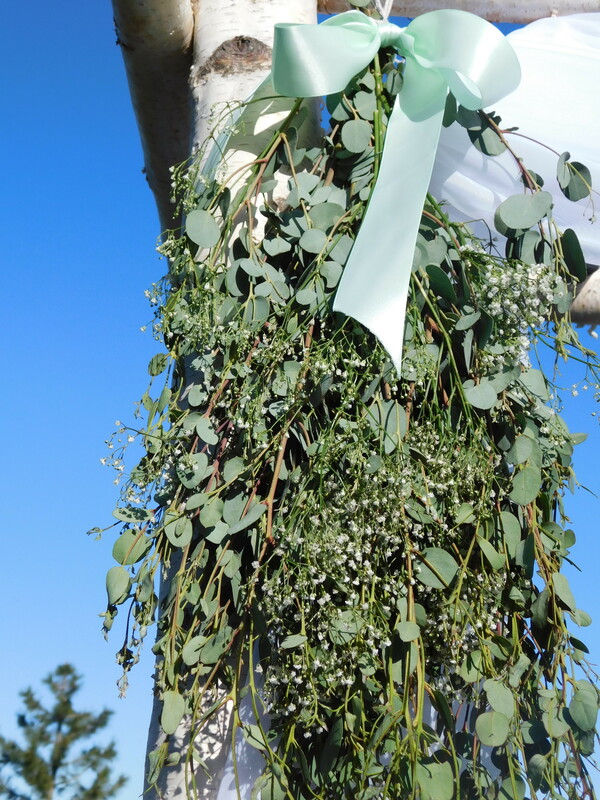 Making their day is what it’s all about for us.